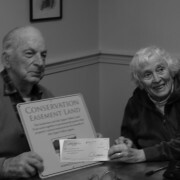 We ended theÂ week with another 50 acres conserved!Â Friday, Chris and Jocelyn Randles signed a conservation easement with the Upper Valley Land Trust to protect their propertyÂ in North Pomfret. This land, nestled between other UVLT-conserved parcels, fills a gap in what has now become a 605 acre contiguous block of UVLT-conserved land abutting thousands of acres along the Appalachian Trail corridor. 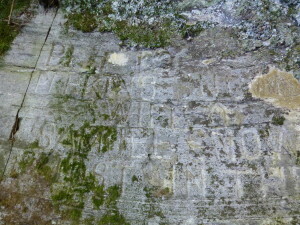 Rock carvings tell of a young bride lost in the forest in 1779. Some hidden secrets about the landâ€™s history are revealed in intriguing rock carvings about a young bride lost in the forest in 1779. 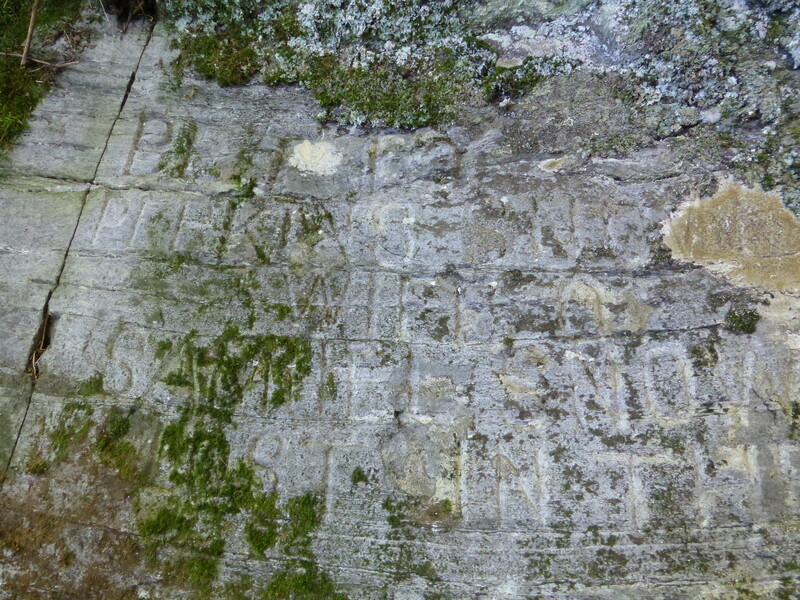 The Pomfret Historical Society researched these carvings and found that they may have been made by Jason Hewitt, a local historian, around 1915.Â Prior to the Randles purchase of the property, it is likely only one other family â€“ the Danas â€“ owned and worked the land since it was part of the First Division of land in Pomfret. 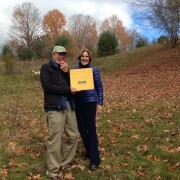 Now, managed for sustainable forestry that protects water resources such as Dana Brook and a productive vernal pool, the vast majority of the property will remain undeveloped as it has been.Â Â The signing of the conservation easement accomplished a goal the Randles had since purchasing the land in 2008. 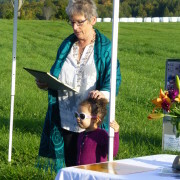 They wanted to see its resources preserved and join with the conservation efforts of neighbors which had been part of what drew them to this beautiful part of the Upper Valley from the very beginning. See more photos on our Facebook site.